Super-X® delivers the precision and controlled expansion you demand. Maximum power, maximum efficiency. Packed 50 rounds in a box. Winchester Super-X Rifle, .22 Hornet, JHP, 46 Grain, 50 Rounds is rated 3.9 out of 5 by 26. Rated 5 out of 5 by West tn hunter from Very accurate from my kimber pro varmint Fantastic groups from my kimber pro varmint 22-250. The old reviews stated the super x shot the best. They were right. Rated 5 out of 5 by ChuckyB from Knock down power After losing 2 black bears with PERFECT shots with my 7mm MAG, I switched to .338 Win Mag and use this Winchester ammo. 200 grain. Since then I think the farthest I have had a bear run is about 15 yards... great stuff! I have also never had a misfire or other problem with this ammo. Very happy. Rated 5 out of 5 by Smooth from Sunngodd Very good ammo does the job on anything I use it every hunting season. Rated 5 out of 5 by hd clyde from Hunting Used the Super X 300 Grain in my Marlin 1895 45/70 lever action this last Dec. for deer hunting. It worked GREAT. Got my deer at 95 yards with my gun sited in at 50 yards. Will keep using this ammo. Rated 1 out of 5 by SSG. Retired from Accuracy I recently purchased a ruger American predator with a suppressor for hunting. I decided to use this ammo based off past experience and I had always been pleased with the results. This time however, I can say I wasn't excited with the results. After firing 40 rounds, this is the results. I can normally zero a rifle in at 100 yards within 9 rounds. I actually had to move the target to 50 yards in order to get a decent grouping, then pushed out to 100 for the actual zero. There were no baffle strikes, and my other ammo was dead on with a grouping of less than an inch. The picture above are the results of an attempted zero at 100 yards. Maybe I got a couple of bad boxes. I have purchased more to test. Rated 1 out of 5 by Chris1822 from Not firing I have been using these for years and I just bought another box for my 30-06 and 3 of the shells didn't go off and 1 of them wouldn't load into my gun. Rated 1 out of 5 by Brian from Never again What’s going on? Quality control department on vacation? Been buying super x in the 7mm mag for years. Ben hunting for 40 plus years. What looks like crimp tabs where the casing and the projectile come together. They’re so expanded I have on average 2 shells per box that will not slide into the chamber. Nothing worse than a jammed rifle due to poor quality ammo. 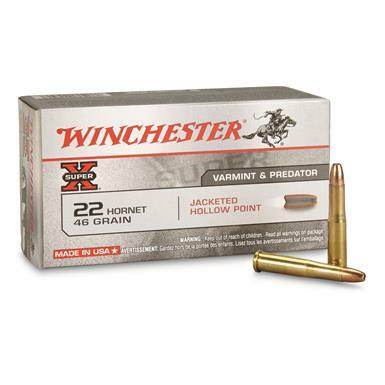 Rated 1 out of 5 by jmw2930 from Disappointed While I have used this ammo in .308 with no problem, my daughter missed out on her first deer this past Saturday, when her first shots on the deer, using this ammo, went click instead of bang. Two rounds with dimples in the primer cap and the bullet still in the case. Both follow up shots fired, but she missed a moving target. Very disappointed.